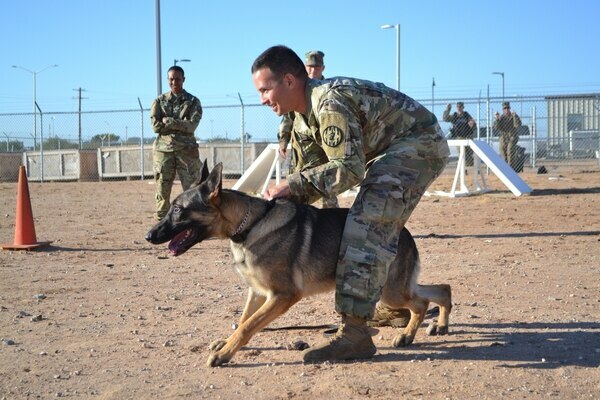 Working dogs are four-legged heroes of the United States military. 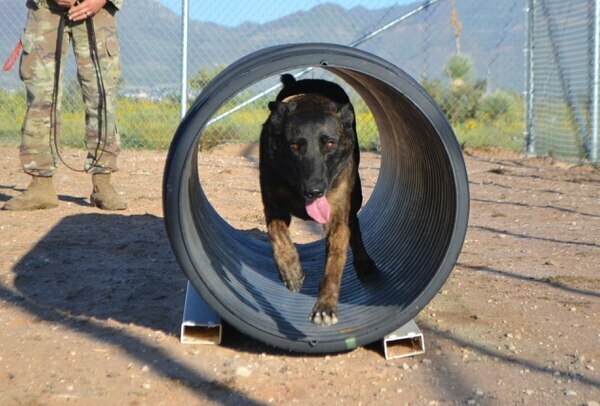 And now, to celebrate their battlefield contributions, these brave canines will have an honorary postage stamp of their own. 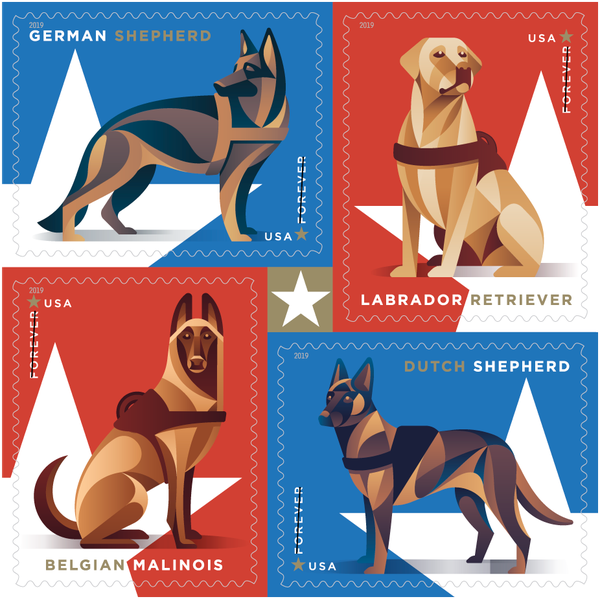 The new red and blue “forever” stamps will feature a German shepherd, Labrador retriever, Belgian Malinois and Dutch shepherd ― dog breeds typically selected for use by the military ― standing adjacent to a white star. 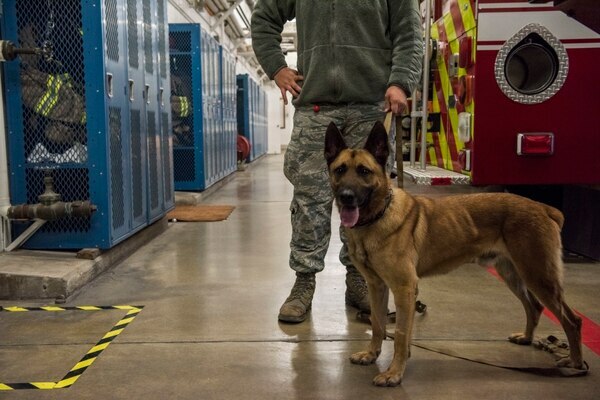 “The Postal Service honors the nation’s brave and loyal military working dogs with this new booklet of 20 stamps,” a Tuesday press release announced. The exact release date for the stamps is yet to be announced. The art was created by DKNG Studios in collaboration with USPS art director Greg Breeding. Additionally released stamps for 2019 feature grand slam tennis champion Maureen “Little Mo” Connolly Brinker, work by abstraction artist Ellsworth Kelly, a patriotic red, white and blue star, and locomotives on the transcontinental railroad. 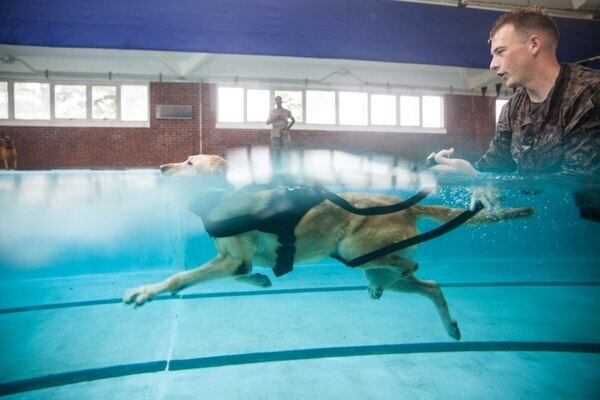 Images of each breed to be honored in military action can be seen below.